With excitement building as One Direction fans count down the days until the band’s summer tour reaches North America and their upcoming movie, 1D in 3D, hits theaters, this inside source provides everything loyal followers need to know about Niall, Zayn, Liam, Harry, and Louis. This account details the band’s meteoric rise in 2012, as both Up All Night and Take Me Home debuted at No. 1 and One Direction sold out arenas from New York to New Zealand. Readers discover Air Force One Direction, the private plane the band takes from concert to concert, and the famous venues on the upcoming tour, including London’s O2 Arena and the Staples Center in Los Angeles. 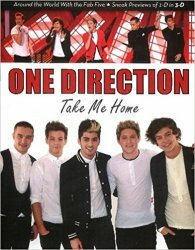 In addition, the book goes behind the scenes of 1D in 3D with director Morgan Spurlock and gives a glimpse of the diverse selection of One Direction merchandise in stores. 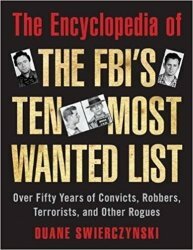 In 1949, a crime reporter looking for a way to fill a column published the nation’s ten worst criminals as classified by the FBI: two accused murderers, four escaped convicts, a bank robber, and three “confidence men.” In addition to the stark black and white photos that accompanied the article, the public was most moved by the idea that law enforcement was asking them for help. Fired up by the gesture of confidence, Americans banded together to wholeheartedly support the motion, leading to tips that helped facilitate the capture of the advertised criminals. 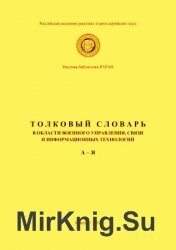 Толковый словарь в области военного управления, связи и информационных технологий представляет собой научно-справочное издание, которое отражает современное состояние понятийного аппарата, созданного на основе анализа, синтеза и обобщения существующих терминов и определений, а также обоснования новых понятий военного управления, связи и информационных технологий. Nineteen seventy-seven. New York City. Dark. Dangerous. Thrilling. Punk Rock. Blondie. David Bowie. Drinking. Drugs. Happening at the speed of light. ?Seventeen-year old Laura quaking within her skin while the bursting punk rock revolution explodes around her starts a band with her teenage friends called the Student Teachers. She's the drummer. They play legendary clubs ? CBGB Max's Kansas City Hurrah ? they rehearse madly write songs and tour the East Coast. ?All between final exams at school. ?In comes Jimmy Destri from Blondie. He thinks the Student Teachers are terrific! And then ? he falls in love with Laura. He pulls her into the glamorous life of Blondie and introduces her to David Bowie. Bowie takes an interest in Laura's band attends their rehearsals and sets them up to open for Iggy Pop at the Palladium on Halloween 1979. It's exhilarating! It's the beginning of amazing success in rock 'n' roll! ?Until it all comes to a stunning stop. ?After playing a show at Town Hall in 1980 Laura is diagnosed with multiple sclerosis. Does it all fall apart? ?Later at a dinner with Bowie he whispers something to Laura. And it helps her save her life. 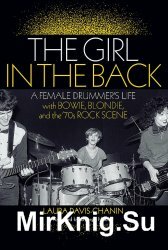 ?In prose that flows like music Laura Davis-Chanin presents a rich work of narrative nonfiction that is not only deeply personal but also revealing of the punk rock heyday in New York City. Infused with rare photographs this book is a journey through a unique ephemeral life experience. 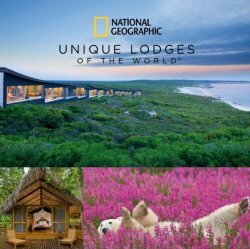 National Geographic Unique Lodges of the World is a collection of handpicked lodges that invite guests to experience the world's most treasured places while helping to protect them for generations to come. Claims and counter-claims. Accusations and allegations. NSA spying and suppressed evidence. Cover-ups and threats. Documented connections and intrigue. Suggestions of a New World Order. Are we to believe the coincidences are mere chance? Might the paranoid be on to something? Who really holds the levers of power? 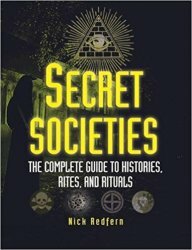 History admonishes us to be vigilant of hidden plots and nefarious agendas of governments and the powerful. The ideal travel companion, full of insider advice on what to see and do, plus detailed itineraries and comprehensive maps for exploring San Francisco and Northern California. Cycle over Golden Gate Bridge, catch a ferry out to the infamous prison on Alcatraz Island or head out to Napa Wine Country to sample fine wine: everything you need to know is clearly laid out within color-coded chapters. Discover the best of San Francisco and Northern California with this indispensable travel guide. The ideal travel companion, full of insider advice on what to see and do, plus detailed itineraries and comprehensive maps for exploring this impressive imperial city. Explore the beautiful Sch?nbrunn Palace and Gardens, watch the elegant horses at the Spanish Riding School, or marvel at Gustav Klimt masterpieces at the Belvedere: everything you need to know is clearly laid out within color-coded chapters. Discover the best of Vienna with this indispensable travel guide. This book contains material that is just too cute. Reader discretion is advised. The first eight weeks of a kitten's life are an epic adventure. And every impossibly adorable moment of that adventure is captured in this book, based on Animal Planet's hit show TOO CUTE. 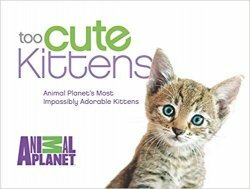 Millions of viewers have joined their favorite kitties as they take on the journey from helpless baby to rambunctious best friend. Now they can hold on to every precious moment through the exclusive photographs in this book. Every beautiful, entirely-too-cute photo illustrates the everyday dramas of kittens as they grow up and learn to navigate the world. Ready to experience China? The experts at Fodor’s are here to help. 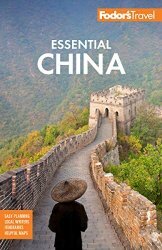 Fodor’s Essential China travel guide is packed with customizable itineraries with top recommendations, detailed maps of China, and exclusive tips from locals. Whether you want to climb the Great Wall, explore the Forbidden City, or discover the Terracotta Warriers, this up-to-date guidebook will help you plan it all out. This new edition has been FULLY-REDESIGNED with a new layout and beautiful images for more intuitive travel planning!